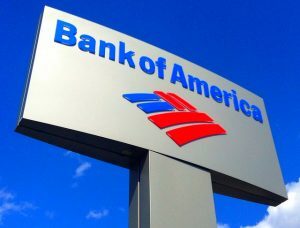 Some Bank of America (BofA) customers might be receiving a mailer asking for personal and citizenship information. Longtime KCTV5 News photographer, Josh Collins, received a letter from Bank of America requesting his citizenship information. Collins thought it was a scam, like the IRS arrest warrant scam, since he was born in the U.S. and had been a BofA customer for twenty years. Then his accounts were frozen without notice. Collins called Bank of America to find out why his account was frozen. The bank’s representatives confirmed that the mailer was real and that they would unfreeze it when they verified his citizenship. After Collins told them he was born in Kansas, he was told his accounts would be available the next day. His accounts remained frozen. Next, Collins went to closet Bank of America. They asked again if he was a citizen, then asked whether he was a dual citizen. Collins’ accounts were eventually unfrozen, but not before his entire automatic bill payment accounts were wiped clean. The representative who spoke with Collins said that eventually they would ask all their customers to verify their citizenship. “Like all financial institutions, we’re required by law to maintain complete and accurate records for all of our customers and may periodically request information, such as country of citizenship and proof of US residency. This is not unique to Bank of America. This type of outreach is nothing new and the information must be up to date. Therefore we periodically reach out to customers, which is what we did in this case. Banks typically freeze accounts for two reasons: 1. a creditor is attempting to collect a debt 2. The government suspects the money was obtained illegally. In both cases, there is a court order permitting the bank to freeze the account. In order for creditors to garnish a bank account, they must win a lawsuit and then win a separate motion to freeze a debtor’s accounts. Bankruptcy court could be an alternative route for creditors to freeze accounts, but debtors voluntarily file for bankruptcy. Banks can freeze accounts based on a government order, but the governing entity have to prove to a court that the asset was linked to a crime. Freezing an account would be a deprivation of property and would require due process before the account could be frozen. The Supreme Court ruled two years ago that defendants have a right to access funds unless those funds were obtained through a crime. Although civil asset forfeiture is a crack in this constitutional shield, the government still must follow the civil process to sue a property. Freezing an account without legal notice or due process is unconstitutional. The money in a bank account belongs to the person whose name is on title to that account. Bank of America’s action here is surprising and disturbing because citizenship should not have any effect on legal ownership. Large banks are often international institutions with customers all over the globe; restricting accounts based on citizenship would be harmful to their business. Illegal immigrants often leave bank accounts behind when they are deported. They might be here illegally, but the money belongs to them if they didn’t commit a crime to obtain it. Typically, the best way to keep an account open is to make it a joint account. Although a deported undocumented person might not have standing to protect his money, a citizen on the joint account could protect it in court. More importantly, allowing the government to take an immigrant’s money after deporting them would corrupt the deportation process. The government would eventually be more focused on obtaining money than enforcing the law. History is full of examples where a government steals money from people it prosecutes: the United States stealing land from Native Americas, Nazi Germany taking property from Holocaust victims, and Americans stealing money and housing from Japanese Americans thrown into internment camps. If we are not careful, a government could legalize theft of personal property again. Bank of America claims in its statement that it is merely following a law. There are a few problems with that statement though. First, they don’t cite the law or statute they are trying to comply with. If they are citing the wrong law, interpreting the law incorrectly, or if the law doesn’t exist, then the bank has no legal authority to freeze accounts. Second, they are claiming to be acting on a government’s behalf. One assumes they are acting on behalf of the federal government (citizenship is the domain of the federal government), but it unknown which department or agency would be enforcing this unknown law. It could be Immigration and Customs Enforcement, the Coast Guard, the Department of Homeland Security, or the Department of Defense. Bank of America would be wise to divulge who the regulating body is or it will be the one on the hook if there is any legal liability from this. « Indepth Look: Will a Recent Lawsuit Leave 3D Printed Guns Easily Accessible?